I have previously reviewed this author's four book Regina Shen YA Science Fiction Series and really enjoyed it. So I excited to see a new offering SciFi offering from him. While offering an entirely different view of the future, it is also a dark tale with its characters surrounded by suffering. And it also has a strong, independent woman cast as in the lead roll. Dr. Elena Pyetrov's father left on a mission to Jupiter when she was young and now she stands poised to fulfill his dreams by going there herself. Unfortunately, the world is in crisis and there are many averse to spending money on space programs. At the last moment she gets approval, but once out in space everything goes totally wrong. 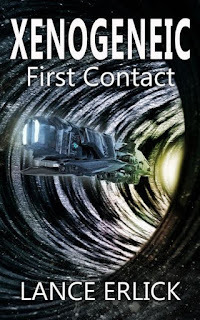 The ship and all it's passengers are hijacked by an alien race hiding in wait close by. Their mission, to cleanse earth of it's inhabitants and claim it as their new home. For years they have been capturing humans for a hidden reason, confining them to caves and demanding high birth quotas. Why? No one is sure. But if the humans don't meet these quotas, the aliens withhold food, heat and all the other basics they need to survive. In these brutal conditions, many lose their humanity. It becomes survival of the fittest. Elena is convinced she can find a solution. She interacts with the aliens to get clues, secretly explores the caves and works hard to unite the competing captive human groups into a supportive community. Then she angles herself into a mission back on earth to locate a missing rebel alien couple who hold the key to this group taking over the planet. While on earth, can she find a way to disrupt the alien's plans and to let the world know about this imminent threat? A strong and unusual story. A great read, although be prepared, it will take you on very dark journey. But it's message is one of hope. One person can choose to be strong, stand up and make a difference. 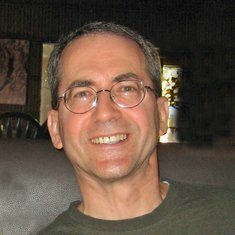 Lance Erlick writes science fiction thrillers for young adult and adult readers. He is the author of The Rebel Within, The Rebel Trap, and Rebels Divided, three books in the Rebel series. In those stories, he explores the consequences of Annabelle Scott following her conscience. He authored the Regina Shen series--Resilience, Vigilance, Defiance, and Endurance. This series takes place after abrupt climate change leads to the Great Collapse and a new society under the World Federation. 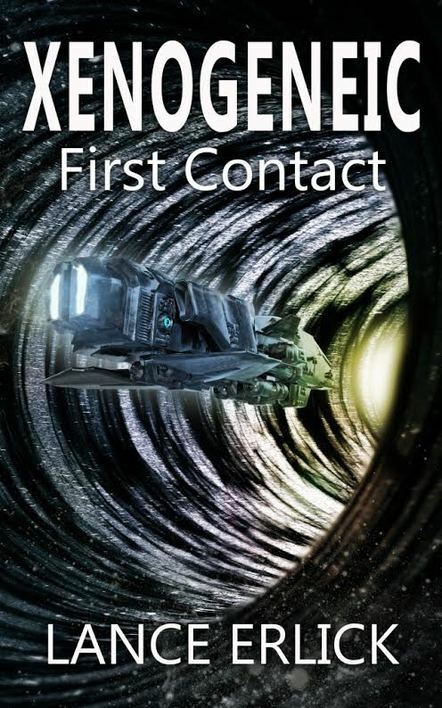 His latest novel is Xenogeneic: First Contactabout encounters with an alien race aiming to take over Earth.